There’s a lot of snow, and a lot of snow sports, in the world. Here are a few off-beat mountain resorts to check out this season. The northernmost Japanese island of Hokkaido gets some of the deepest, fluffiest powder on Earth. Niseko Village, located in the western part of Hokkaido, is a good place to shred it. Terrain is mild by most standards (in-bounds runs don’t really exceed 32 degrees), but more challenging slopes are a short hike from the main ski area. Shuttles and trains bring in skiers and riders from the island’s airports. A two-day lift ticket costs about $160, pension rooms with breakfast start at $60. The resort rents ski and snowboard setups. Perhaps best known as the place where ski legend Doug Coombs died, La Grave is for advanced skiers only. It’s not really a resort — just a low-key Alps ski town with a couple lifts that access you-fall-you-die terrain. No ski patrol. No ropes. La Grave offers the best lift-accessed couloir skiing in the world. If you can master the La Grave steeps, you can ski anywhere. Not all Alpine slopes are as intense. 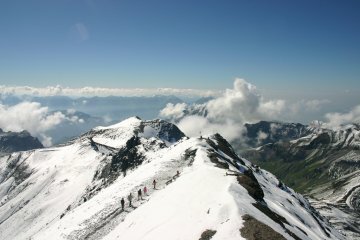 Murren-Schilthorn has runs that are much more manageable for the non-crazy. The area is at the top of the Bernese Oberland glacial mountains outside Interlaken, with plenty of glades, steeps, bowls, and manicured groomers, plus several stuck-in-time Swiss villages linked by an extensive rail system. Also cool: No cars allowed. A pension room starts at $20 and lift tickets are $59. One of the best parts of skiing in Italy is skiing in Switzerland. Yeah, international boundaries don’t mean much when you’re ripping Tyrolean powder at Breuil-Cervinia. The Italian side has 24 lifts, but you can hop on one to Zermatt, Switzerland, which gives you access to 35 more. Breuil-Cervinia also has what may be the best après-scene in the world. Bars pour tangy Italian reds and smooth craft beers while the restaurants serve pasta, lamb, goat, and various cheeses. A dormitory room is about 450 Euros a week. 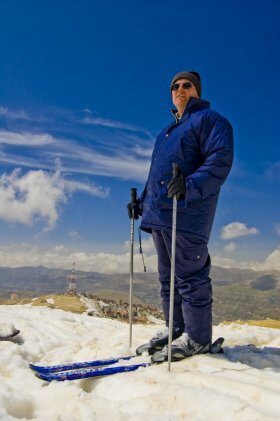 Skiing in Lebanon is surprisingly good, and with almost 6,000 vertical feet of varied skiing for all abilities, Mzaar the largest and most challenging resort. On a clear day, you can see Beirut. Weekday ski passes are $33 and rooms start at $25. The Russian ski industry is young. There are only a few resorts with very limited lift and snowmaking capabilities. That said, the country, having poached a Vail Resorts executive a few years back and scored the 2014 Winter Olympic Games, is quickly catching up to Western standards. The only worthwhile destination skiing is in the Krasnaya Polyana valley. The Games will be held at Rosa Khutor, which as of now is little more than a construction site, so hit the six lifts and ~6,000 vertical at Ski Krasnaya Polyana. Like Russia, the Chinese ski world is tiny and fairly banal compared to what Westerners are used to, but there’s good stuff out there. Terrain at Beidahu is primarily beginner and intermediate with some advanced, but regular snowmaking and consistent natural snow means its 2,500 vertical feet are ready to ride. Expect big things — expanded terrain and après — from this resort in the near future. Rooms at the base-area hotel are $60 with $30 lift tickets. Quality rentals are available. Andorra, that speck of a country high in the Pyrenees between Spain and France, is pretty much one big ski mountain. Grandvalira calls itself the largest ski area in the Pyrenees, with almost 5,000 skiable acres. It’s also got several parks full of pipes, kickers, and rails. But the most impressive stat may be its 40 restaurants. Try out one of Andorra’s few hostels for $42 a night. Outside of Europe and North America, Chile might be the best there is. 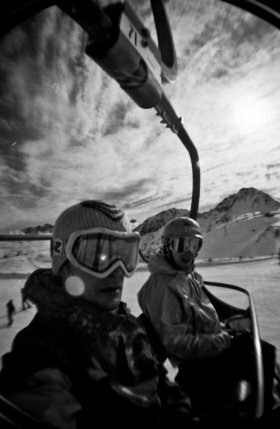 Valle Nevado’s 11 lifts and 23,000 skiable acres makes it the biggest in the Southern Hemisphere. Groomers, steeps, and tons of off-piste terrain. Catch one of the Bell helicopters that ferries skiers to the big mountains daily. Rooms at the base are expensive with 6-person apartments starting at $600 a night, and lift tickets run about $30. 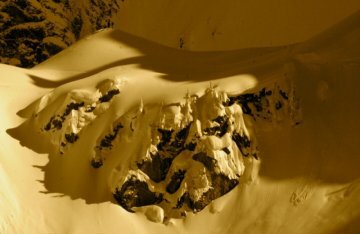 Once an exclusive hideout for helicopter and snow-cat skiers, 3-year-old Revelstoke is now a full-blown, lift-access resort with 3,000+ acres. Get their before development, which calls for over 20 lifts and expanded accommodation, is finished and the secret is out. You can rent a basic cabin 6 miles from the slopes for $95US a night. Lift tickets are $70. 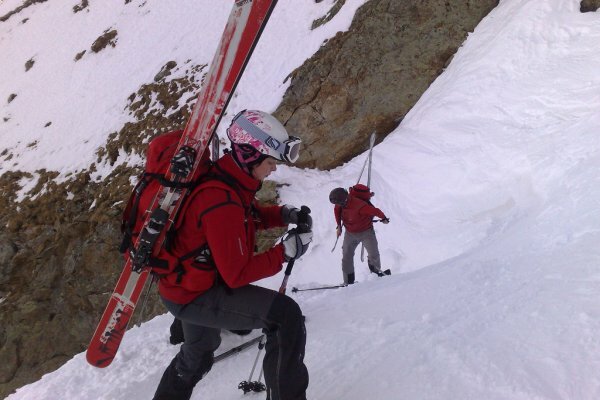 For more, there’s How To Get On the Ski Patrol and Olympic Skiers Face Last-Minute Drama.